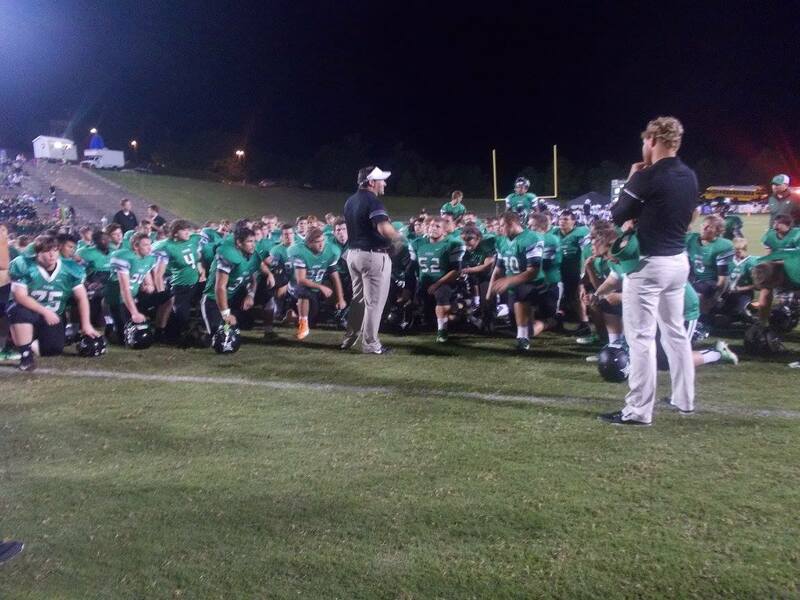 This past Friday night, The Pickens Dragons varsity football team welcomed the Dragons of Pepperell In a clash of the Dragons. Pepperell is out of 2-AA and was looking to complete their first game of the season after playing two scrimmages and having their first actual game of the season called a no contest due to lightening last week. This was the first meeting between the two schools since the mid 80’s. Prior to the game, the Mr. & Miss PHS court was recognized as Dominic Stephens was selected Mr. PHS & Hunter Harrington was crowned Miss PHS. Pepperell won the toss and elected to differ to the 2nd half giving the Dragons the first shot at points. While both teams went back and forth with defensive stops, Pickens finally was able to get on the board at the 6:02 mark of the 1st quarter with a 32-yard field goal from Rudy Perez, making it 3-0. Pepperell struck for their first points soon after with a 58-yd pass and catch. The Dragons of Pepperell then got a two-point conversion to make it 8-3 with 3:02 left in the opening quarter. With the score still 8-3 as we went into the 2nd, quarter, Pickens grabbed the lead back after a 5-yd run by Trevon Hawkins, making it 10-8 with 4:21 to go in the 1st half. Pepperell got in after a 2-yd run with 33 seconds left to take a 15-10 lead going into the break. In the 3rd, both teams again were going back and forth taking turns with possessions but finding no success. Pepperell got the lone points in the 3rd quarter with a 29-yd field goal at the 3:53 mark to stretch their lead out to 18-10. Pickens had several chances in the 4th including one late in the game, but it was not meant to be as the Pepperell Dragons got their first win on the year, 18-10. Chris Pittman led the way rushing with 39 yards on 13 attempts, Trevon Hawkins ran it 5 times for 30 yards and a td, & Brumby ran it 14 times for 27 yards. The Pickens defense did all it could on Friday night keeping the Dragons in the ball game till the very end. 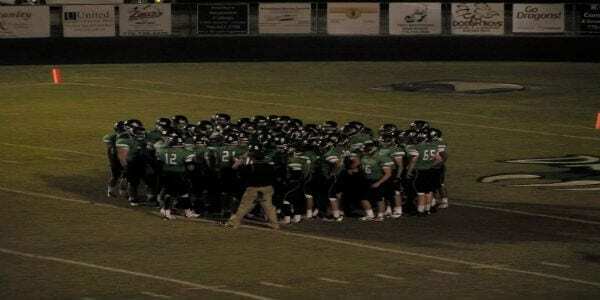 Pickens will now prepare for their first road game of the season next week when they travel to Gainesville to take on the North Hall Trojans in the Brickyard. The Trojans are in the AAA classification and were former region mates of Pickens several years ago. Game time is set for 7:30. Last Friday, the Dragons hosted the Panthers of Ridgeland High School in what was the region opener for both teams. Prior to kickoff, Mr and Miss PHS for 2014-15 were crowned as Andrew Haygood and Emma Shipley-Schmitt would reign supreme. Coming into the ball game, the Dragons was reigning over opponents, scoring 43 ppg and giving up only an impressive 16.7 ppg during their 3-game winning streak. Pickens looked to continue that trend as the Dragons welcomed a Panther squad that is primarily run oriented. The Panthers pulled out the victory, 35-28.